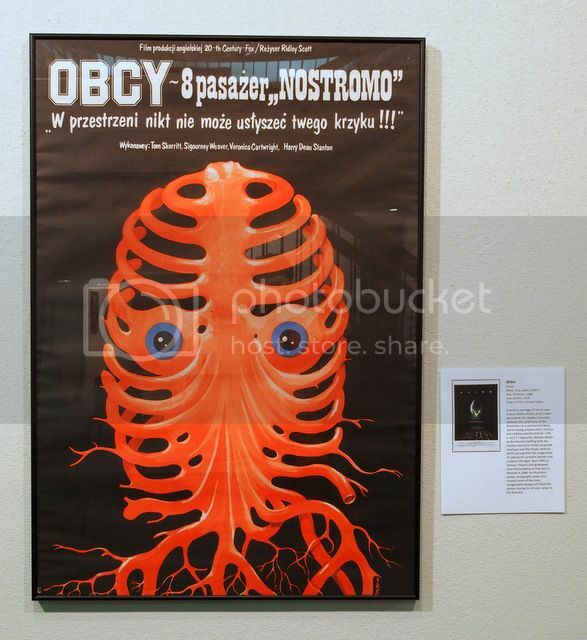 I haven't posted much lately as the little time I've had to dedicate to posters has been taken up by curating this gallery show of Eastern European movie posters. I'm not sure if any of you live near upstate South Carolina, but if you do please feel free to drop by. I got a few new big posters for the show... the star of which for me is Sunset Boulevard. This has been one of my grails ever since I started collecting. My copy is unbacked with great colors and was hand-signed (in the lower left) by the artist -- possibly the only one of the handful in existence that is. 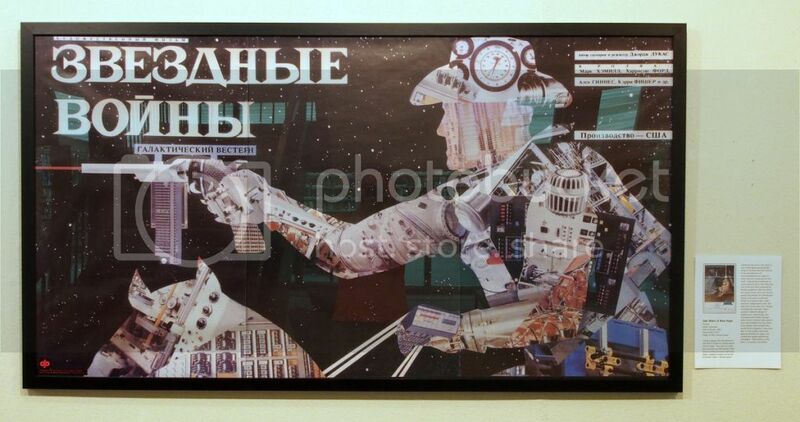 Other notable new purchases are The Birds and the Russian 'space cowboy' Star Wars. The artist who did The Birds, Zelek, recently sold his last two personal copies -- both were in near perfect rolled condition, but the paper has tanned (was low quality paper to begin with). I wasn't there for the sale, but it was signed to me on the back. The Russian SW came from Dave (thanks!). And big, huge, mega thanks to Peter, who loaned me the Polish 2001 and Russian Battleship Potemkin for the show! Anyway, enjoy the digital tour below... but really these photos don't do the posters justice at all. 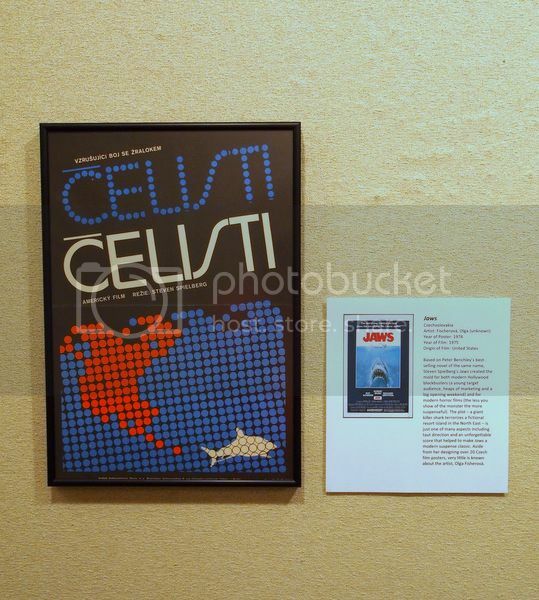 Like all of you, I collect posters and look at them nearly everyday in person and online. I also have a bunch on display at my house. However, none of that prepared me for the awesomeness of seeing them all framed up under the gallery lights. A sight to behold for sure... if any of you have the opportunity to do something like this you definitely should. You've never seen your posters look so good! I also put together a 'vertical tasting' from Platoon -- the Polish, East German and Czech. 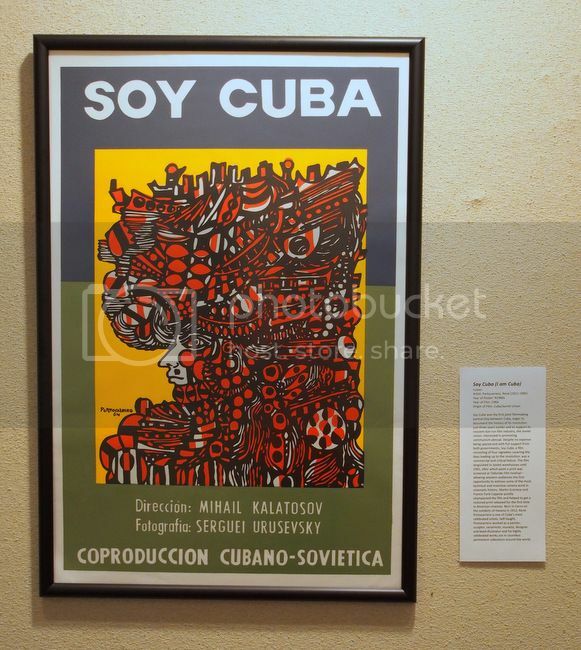 And a lone Cuban poster, Soy Cuba, to illustrate how the practice of having communist state-run film companies contract directly with artists -- typically with no marketers or advertisers involved in the process -- was exported to Soviet client states. I wondered where that card came from... Great stuff Matt! Thanks for the kind words guys... it has been really fun pulling this together over the last few months. I'm sure a lot of people appreciate seeing all that classic stuff in person, especially at a cool venue like that. Having the US posters for comparison was inspired. Looks fantastic, hope you get a crowd for the talk, should be a fun evening. I'm in your debt Peter... thank you again. That said, thanks a f#@king lot! I've always wanted that R60s Potemkin, but after seeing it in person I was absolutely blown away. Now I'm going to actually have to track one down instead of being content admiring it from afar! What a labor of love. I find it hard to pick a favorite. Each time I look at this thread, it seems like I notice something different. You been switching out pictures? I really do like the Star Wars Cowboy. I think I will need to pick one up the next time it comes around. But I would need to get it framed, which would cost a ton. And figure out a place to hang it. But I would need to get it framed, which would cost a ton. Wow, very nice! And they even found a place to hang it for you! Yeah, that SUNSET BLVD is a stunner. But now that I look again, I am completely taken by the Russian CONVERSATION. 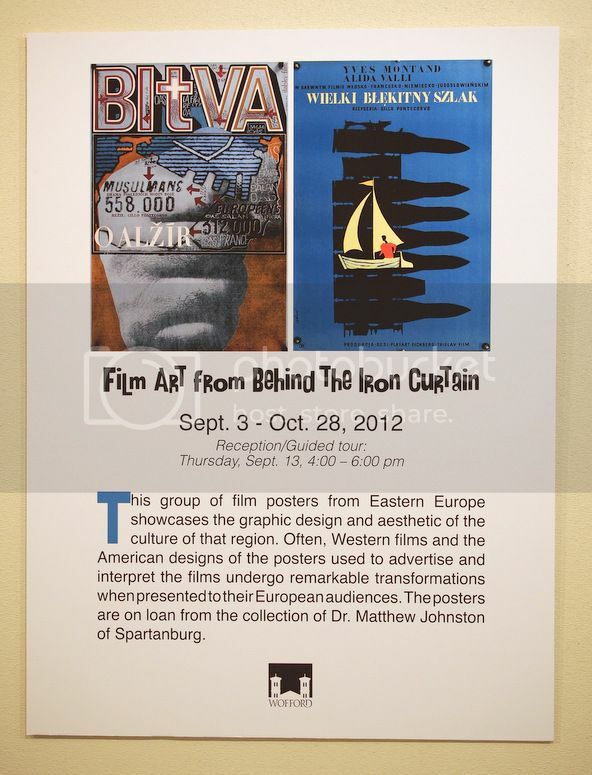 I'll bet a true lover of movie poster art put this exhibition together. Maybe we can get this Dr. Matthew Johnston to contribute to this forum. Dude seems to know his stuff. Matt gets all the deals. I hate him. Maybe I can get the local HOOTERS to sponsor a show devoted to half-clad poster babes and get 'em to cover the costs of framing? Top shelf Matt. Nice work!!! Looks fantastic Matt, well done! 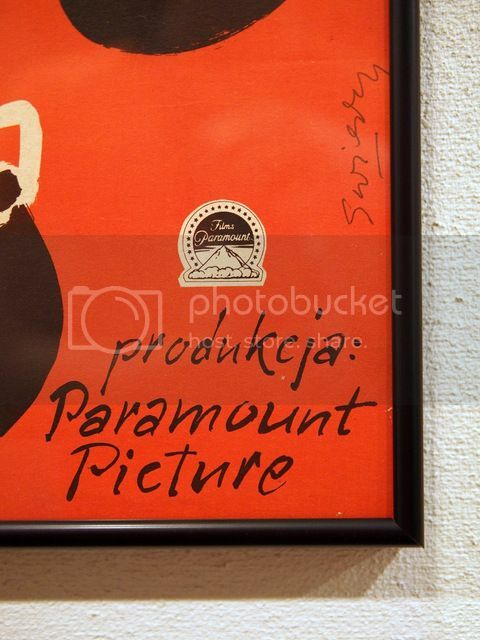 My favourites are the Russian posters for The Conversation and Battleship Potemkin...beautiful. You're quite welcome. It's wonderful to see them up on a wall, even if it's not my wall. That said, if by some strange accident the "Sunset Boulevard" gets sent to back to me by mistake don't ever expect to see it again. Plans are already in place to make for the border. Definitely the star of the show and in spectacular shape. J-e-a-l-o-u-s! I have a tough time picking a favorite but If I had to, I would go with the Romanian Cowboy. I still got to go with that Lavender hill mob, I like the film so much. Wow. Really enjoy the pics, adding to my ISO list, but especially think your initiative here is especially cool. Is the Sunset Blvd. actually yours?!? I live in a college town and I'm close with several people who teach print-making. They are all very excited and plan to bring their students. I'm expecting a full house (30-50 people) for the talk. And I've already been asked to give it a second time as one of the schools has a competing event. 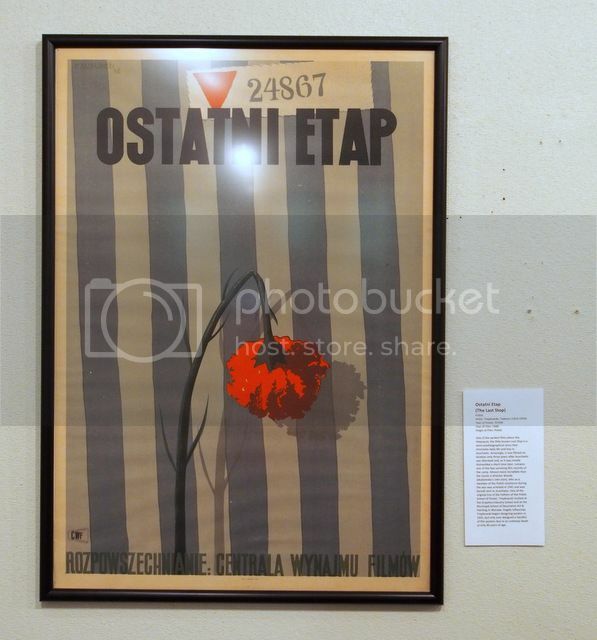 I think I'm going to start by talking a little bit about poster collecting in general, then move on to Eastern European posters and how/why they are so different (or at least various theories people have), and then highlight 3-4 individual works and tell people more about the artists. Should be fun... I'm expecting lots of questions too with so many students there! And yes, having the US posters up for comparison was a must. It is almost unbelievable, but the average undergraduate student was born the year Pulp Fiction came out! I can't even believe I just wrote that and that it's true I didn't want to take it for granted that people would have any frame of reference for the movies. I'm not sure if y'all are interested, but I'll post the blurbs that go along with each poster in a minute. I tried to spend 2-3 sentences on the movie/director and then 2-3 sentences on the artist. Opening with the protagonist facedown, dead, and being fished out of a swimming pool, Sunset Boulevard tells the story of a hack screenwriter’s chance encounter with a former silent-film star who has faded into Hollywood obscurity. Billy Wilder’s film noir masterpiece offers one of the most satirical and scathing "behind the scenes" looks at a narcissistic Hollywood. Świerzy graduated from the Academy of Fine Arts in Krakow in 1952 and later taught at the University of Fine Arts in Poznań from 1965 and in the Academy of Fine Arts in Warsaw from 1994. Świerzy, also a set and graphic designer, illustrator, and cartoonist, is one of Poland’s most prolific poster designers, having completed more than 2500 film, circus, travel and advertising posters since 1950. The poster on display is signed by the artist in the lower right. John Huston’s African Queen, adapted from the novel by C. S. Forester, is perhaps the quintessential cinematic illustration of two people from vastly different backgrounds and experiences overcoming their differences to ultimately fall deeply in love. Set in the Congo during WWI, the making of this legendary movie has received nearly as much, if not more attention as the actual film, whose troubled shot-on-location production was documented in a book by Katharine Hepburn titled, “The Making of the African Queen: Or How I Went to Africa With Bogart, Bacall and Huston and Almost Lost My Mind.” Świerzy graduated from the Academy of Fine Arts in Krakow in 1952 and later taught at the University of Fine Arts in Poznań from 1965 and in the Academy of Fine Arts in Warsaw from 1994. 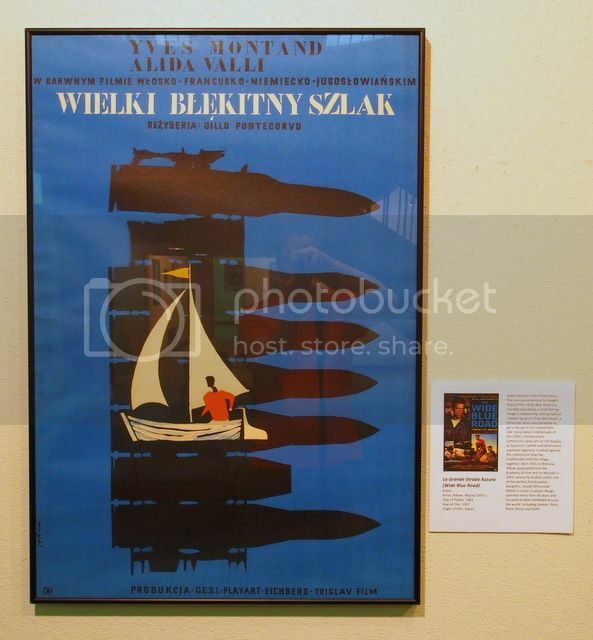 Świerzy, also a set and graphic designer, illustrator, and cartoonist, is one of Poland’s most prolific poster designers, having completed more than 2500 film, circus, travel and advertising posters since 1950. One of the earliest films about the Holocaust, the little known Last Stop is a semi-autobiographical story that chronicles daily life and loss in Auschwitz. Amazingly, it was filmed on-location only three years after Auschwitz was liberated and, as it was mostly dismantled a short time later, remains one of the few surviving film records of the camp. Almost more incredible than the movie is director Wanda Jakubowska’s own story, who as a member of the Polish resistance during the war was arrested in 1942 and was herself sent to Auschwitz. One of the original trio of the Fathers of the Polish School of Poster, Trepkowski studied at the Graphics Industry School and at the Municipal School of Decorative Art & Painting in Warsaw. 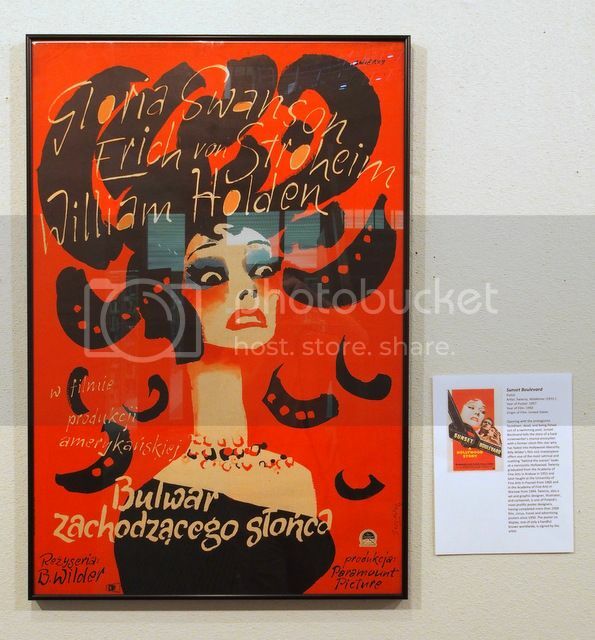 Hugely influential, Trepkowski began designing posters in 1931, but only ever designed a handful of film posters due to an untimely death at only 40 years of age. Director Alfred Hitchcock, known affectionately as the master of suspense, tells the tale of a budding romance at odds with the suitor’s mother in Northern California, whose animosity becomes gradually overshadowed by bizarre and increasingly brazen attacks by birds. The ominous motives of the birds – not birds of prey, but usually-harmless species such as seagulls and blackbirds – are never explained, which is why the innocent sight of crows landing on a schoolyard jungle gym has never been so terrifying. 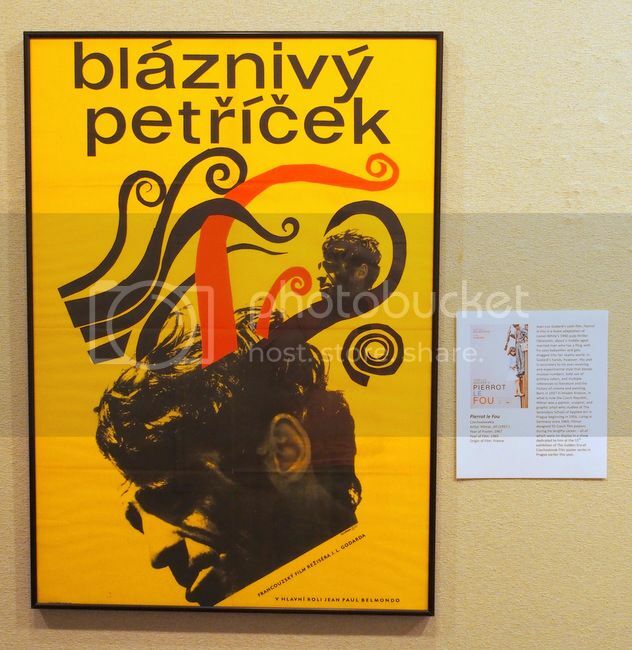 Born 1935 in Nastaszow, Poland, Zelek graduated from the Academy of Fine Arts in Warsaw in 1961, where he studied under one of the original trio of the Fathers of the Polish School of Poster, Henryk Tomaszewski. An active poster designer and typeface creator, Zelek’s work has won many awards and has been exhibited around the world – including a recent exhibition at the Galeria Grafiki i Plakatu this past summer. 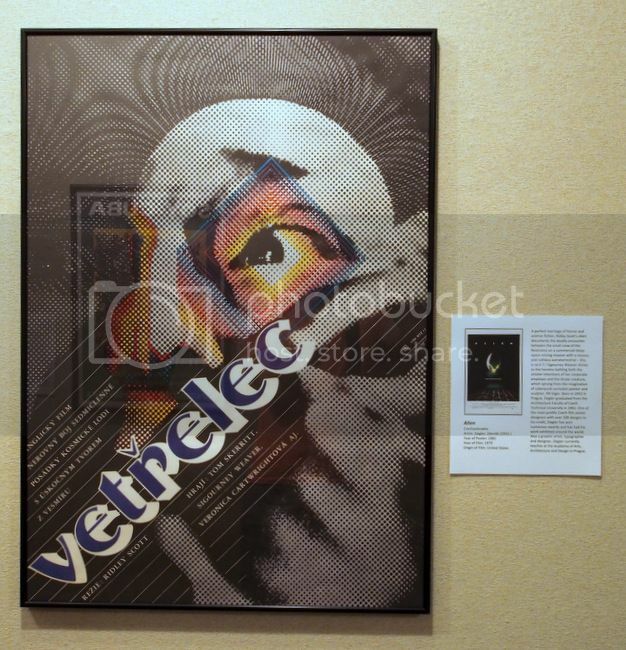 The poster on display was one of Zelek’s two remaining personal copies and was purchased in Vienna, where he currently resides (signed on verso, ‘To Matt’). William Wyler’s fairytale romance about a reluctant princess (Audrey Hepburn) who escapes her royal handlers and travels around Rome incognito with her new “commoner” friend (Gregory Peck) – who is an American journalist well aware of her true identity and looking for a front page story. Filmed on location in Rome and based in part on the real-life exploits of British Princess Margaret, Roman Holiday offers of light-hearted tour of the eternal city’s best sights. Flisak graduated from the Institute of Architecture in Warsaw in 1953 and got his start with satirical cartoons in "Szpilki" magazine. 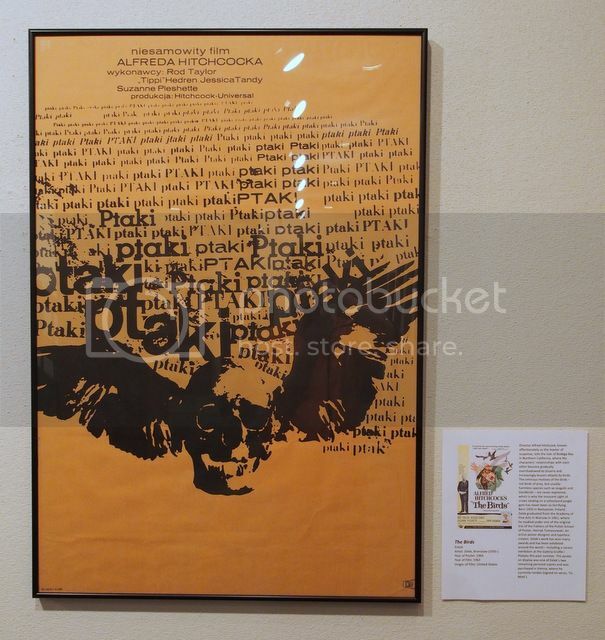 Flisak, with his extensive career as a poster designer, book illustrator, stage designer, animated films author, and satirical cartoonist, has been featured in exhibitions around the world and won countless awards before his death in 2008. Few films are as important to a genre as Stanley Kubrick’s 2001: A Space Odyssey is to science fiction. Co-written by Arthur C. Clarke and with pioneering special effects from Douglas Trumbull, 2001 blends elements of human evolution, technology, surrealism, artificial intelligence, and extraterrestrial life into one of the most highly regarded and scientifically accurate epics in all of cinema history. 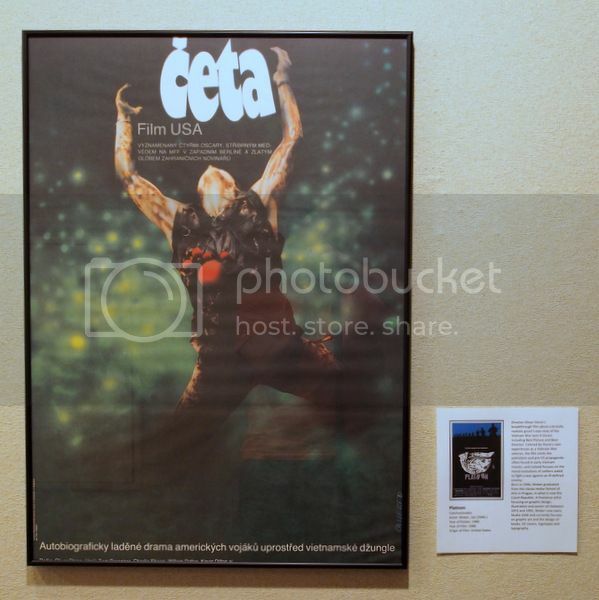 Górka graduated from the Academy of Fine Arts in Krakow in 1952 and worked continuously in the field of graphic design, winning numerous awards, until his death in 2004. 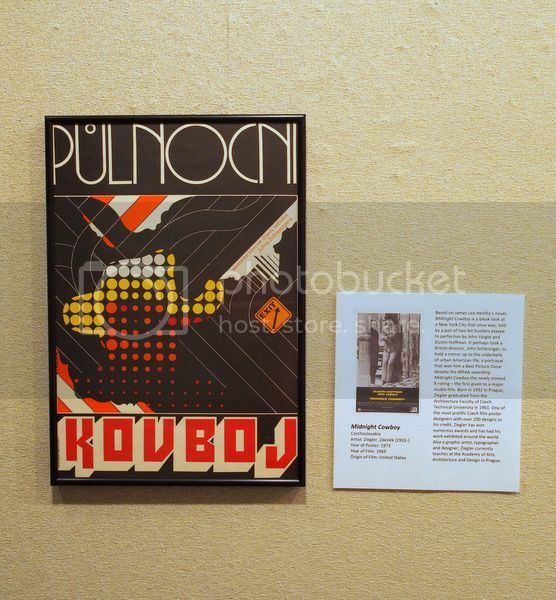 After traveling to Cuba with a group of Polish graphic designers to conduct training in 1970, Górka went on to Mexico where he taught and worked extensively through the late 1990’s – including the production of a posters series supporting the electrification of the country. A perfect marriage of horror and science fiction, Ridley Scott’s Alien documents the deadly encounter between the small crew of the Nostromo on a commercial deep-space mining mission with a viscous and ruthless extraterrestrial – this is no E.T.! Sigourney Weaver shines as the heroine battling both the sinister intentions of her corporate employer and the titular creature, which sprung from the imagination of cyberpunk surrealist painter and sculptor, HR Giger. Born 1941 in Zamosc, Poland, Erol graduated from the Academy of Fine Arts in Warsaw in 1968. 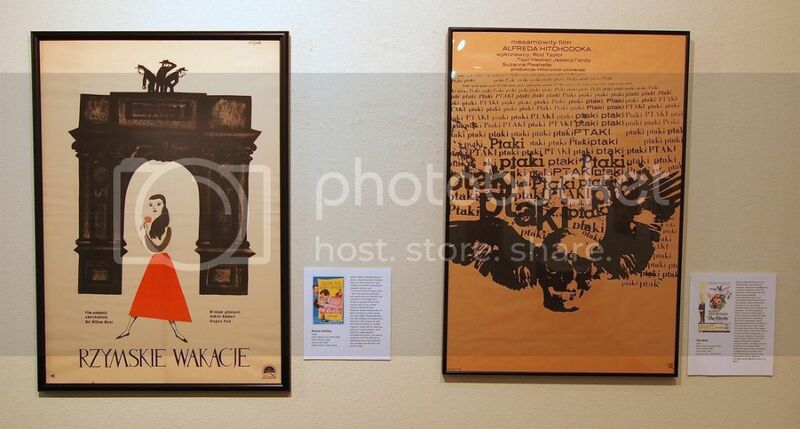 An illustrator, poster, and graphic artist, Erol created some of the most recognizable designs of Polish film posters during his 26 year career in the business. Italian director Gillo Pontecorvo’s first non-documentary full-length feature film, Wide Blue Road is a morality tale about a small fishing village’s relationship with perpetual cheater Squarcio (Yves Montand), a fisherman who uses dynamite to get a leg up on his competition. Like many Italian intellectuals of the 1950’s, Pontecorvo’s communist views are on full display as Squarcio’s selfish and destructive capitalist ingenuity is pitted against the collectivism that has traditionally held the village together. 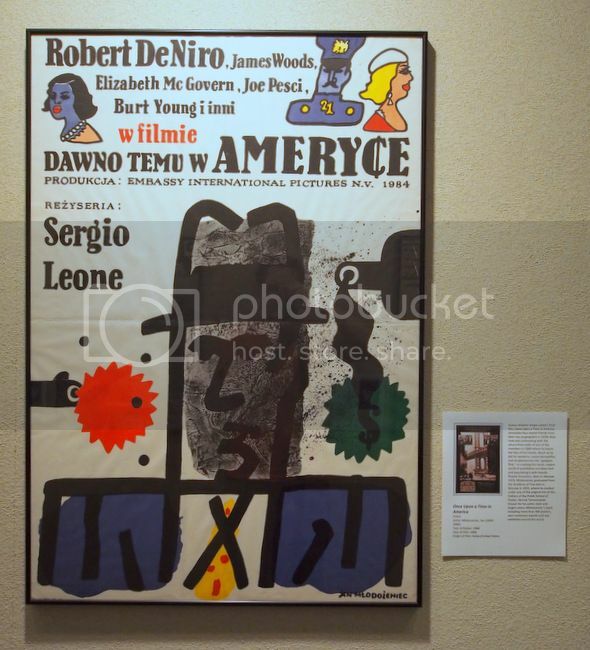 Born 1931 in Warsaw, Hibner graduated from the Academy of Fine Arts in Warsaw in 1955, where he studied under one of the earliest Polish poster designers, Joseph Mroszczak. 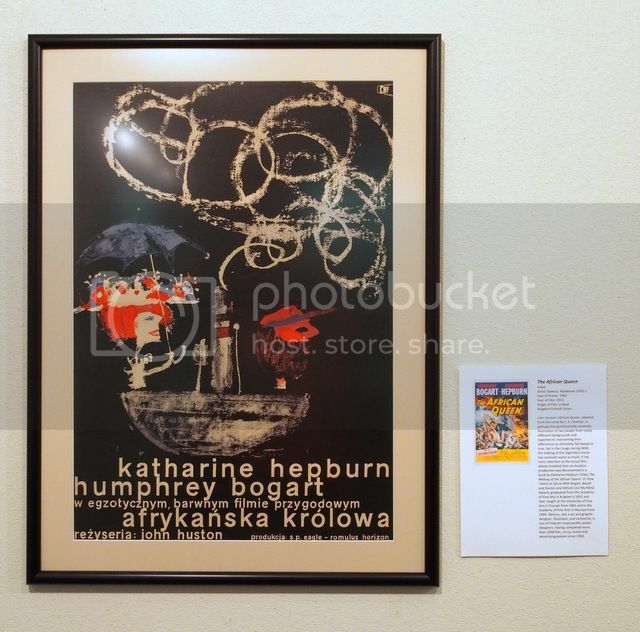 Hibner’s career in poster design spanned more than 30 years and his work as been exhibited around the world, including London, Paris, Wien, Rome and Delhi. Auteur director Sergio Leone’s final film, Once Upon a Time in America chronicles four Jewish friends from their rise as gangsters in 1930s New York and culminating with the return-from-exile of one of the members in 1968 where he learns the fate of his friends. Much as he did for westerns, Leone demystifies and de-glamourizes the “gangster flick,” re-creating the harsh, violent world of prohibition-era New York and populating it with heavily flawed characters. Born in Warsaw 1929, Mlodozeniec graduated from the Academy of Fine Arts in Warsaw in 1955, where he studied under one of the original trio of the Fathers of the Polish School of Poster, Henryk Tomaszewski. 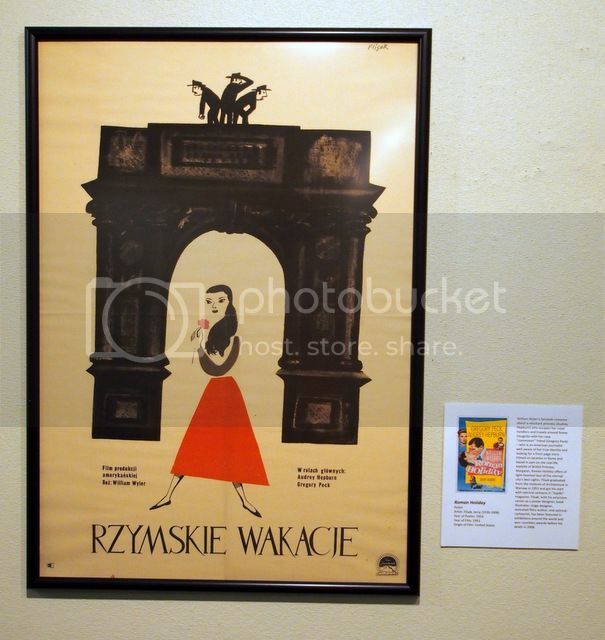 Known for his comic-style and bright colors, Mlodozeniec’s work, including more than 400 posters, won numerous awards and was exhibited around the world. 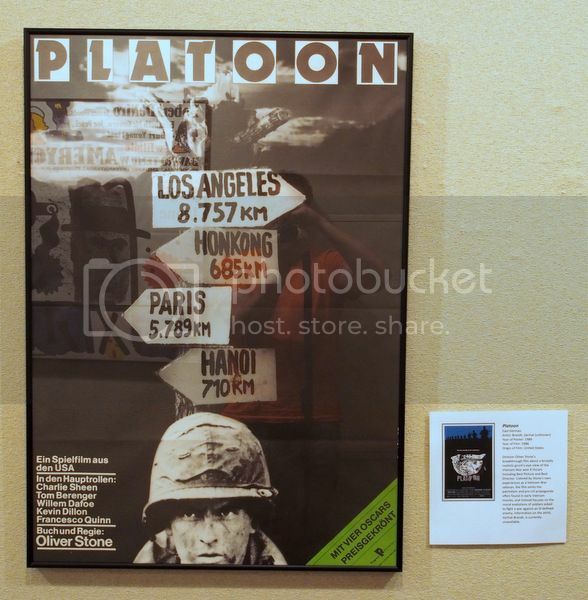 Director Oliver Stone’s breakthrough film about a brutally realistic grunt’s-eye-view of the Vietnam War won 4 Oscars including Best Picture and Best Director. 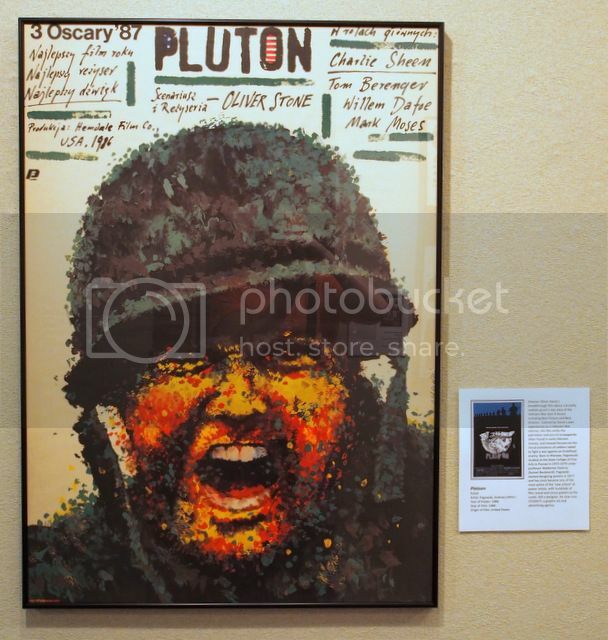 Colored by Stone’s own experiences as a Vietnam War veteran, the film omits the patriotism and pro-US propaganda often found in early Vietnam movies, and instead focuses on the moral evolutions of soldiers asked to fight a war against an ill-defined enemy. Born in Warsaw, Pagowoski studied at the State Collage of Fine Arts in Poznan in 1973-1978 under professor Waldemar Swierzy (Sunset Boulevard). 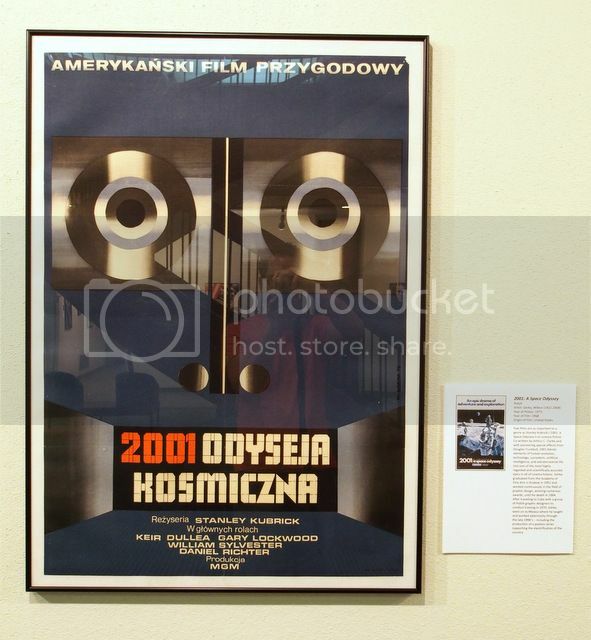 Pagowski started designing posters in 1977 and has since become one of the most active of the ‘new school’ of poster artists, with hundreds of film, travel and circus posters to his credit. Still a designer, he now runs STUDIO P, a graphic art and advertising agency.